MMA used to be an independent state corporation and government agency that is responsible for the governance, operation, regulation and promotion of the ports of the Mediterranean archipelago nation of Malta. Operation of the principal cargo port, Malta Freeport, is done in conjunction with Malta Freeport Terminals, a company established in 1988. Malta’s smaller ports provide service to pleasure craft and yacht marinas, ferry services, the fishing industry and local trade. 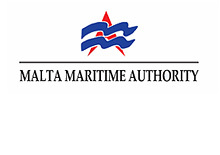 The MMA’s Ports Directorate is the port authority for all ports in Malta. The Malta International Ship Register is a department of the MMA.